Add a pop of colour to an elegant bedroom scheme with the Esme Table Lamp by Heathfield & Co. Free-blown by master craftsmen, the strawberry piping bubble detailing ensures each lamp is entirely unique. Pair with a satin shade in complementary colours for a luxurious feel. Available in Rose, Sapphire & Garnet finishes. Get in touch with our team for a choice of colour and fabric options. 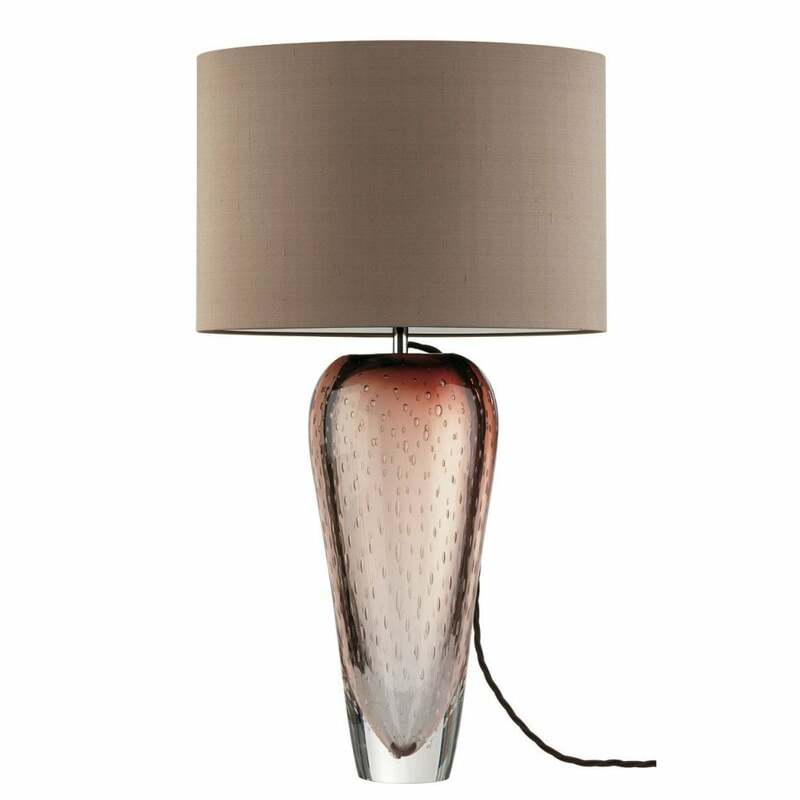 Priced for 15" Oval shade in silk with white PVC lining. Please contact us for other options.